The global market for biorefinery has been expanding at a sturdy rate over the past decade and is expected to attract commendable demand over the forthcoming years. Biorefineries are sometimes called as environment-friendly power houses because they convert biomass into usable power. Furthermore, the emission from the conversion of biomass into power is also minimal which is beneficial for the environment. A thermal reactor is used to fractionate the biomass into linear and sequential patterns through steam hydrolysis. biorefineries have become central units for heat generation and production of electricity in rural areas. Furthermore, the government has been assisting the biorefineries in their region which has skyrocketed demand within the global market. Biorefineries produce several components that can be used as raw materials in other industries including bio enzymes, adhesives, polymers, and fibers. The energy requirements of a number of households are expected to be resolved once bio refineries take swing across regions. Moreover, the demand within the global market for bio refineries is also driven by the assistance provided by governments and other public sector entities across the globe. The global market for biorefineries has been segmented based on the following parameters: feedstock, product, application, and region. Each of these segments give a widespread purview of the global market. The report is a succinct analysis of the forces that have shaped the global market for biorefineries. Moreover, the opportunities that float in the market have been juxtaposed with the restraints to balance the stakes within the market. Regional analysis of the global market for biorefinery has also been covered within the report. Despite the paced growth of technologies across the globe, the problem of uniform electric supply still remains a huge challenge. Hence, the ability of biorefineries to convert biomass into electricity has given an impetus to the growth of the global market. The strict rules stipulated by the government with regards to the burning of bio fuels have brought biorefineries to the fore. This has also been a major driver of demand within the global market for biorefinery and has aided the growth of the global market. Biotechnologists and chemists across the globe have been popularising bio-fuels which has given a boost the demand within the global market. Besides this, the developing countries have become ardent consumers of biorefineries due to their inability to go for high-end options. However, the investment required to set up a biorefinery is extremely high, and this could also hamper market growth. The availability of biomass plays the most important role in deciding the lucrativeness of a biorefinery. Hence, regions with substantial amount of biomass are expected to be at the forefront of growth in the global market. The market in North America has been growing at a decent rate due to the emergence of several new and advanced biorefineries. Furthermore, the abundant availability of biomass across Asia Pacific has contributed to thr growth of the global market. 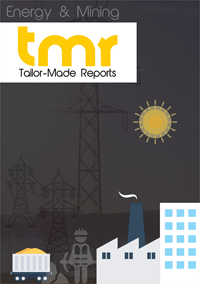 The market players are expected to concentrate on procuring raw materials at a swift pace in order to cater to the ever-expanding demand for power. Some of the key players in the global market for biorefinery are Bayer Material Science LLC, Dominion Energy Services Company, Inc., and Du Pont De Nemours.